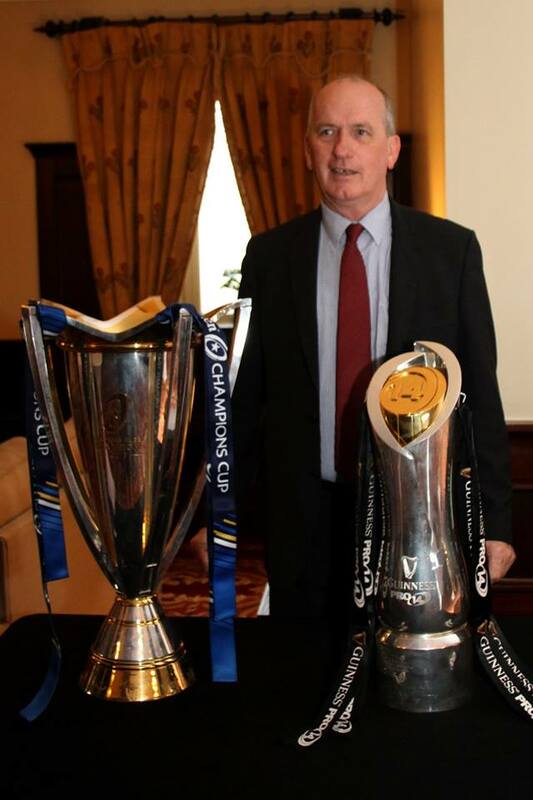 A really enjoyable evening was had by all at the K Club on Friday evening for this year’s Kildare Business Awards ceremony. The compere for the evening, Keith Barry did an excellent job. 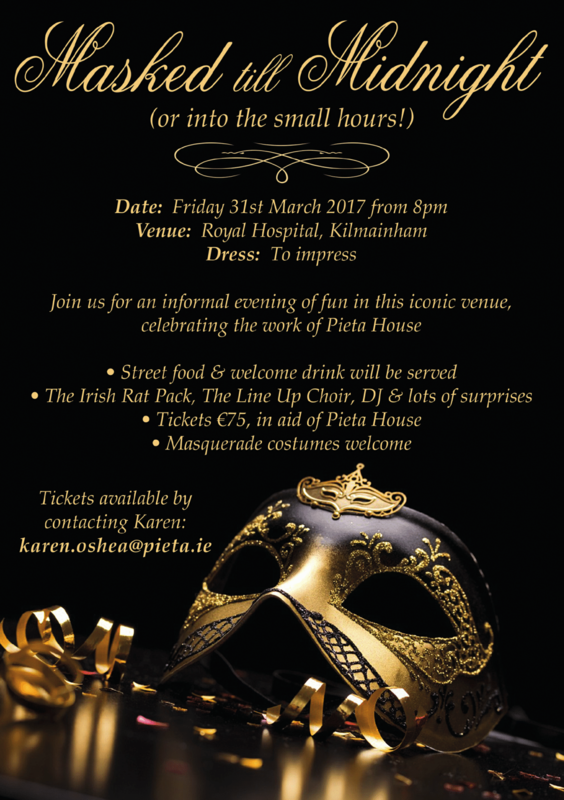 Also a massive “well done” to the K Club restaurant and kitchen staff who kept us fed and watered superbly for the evening. 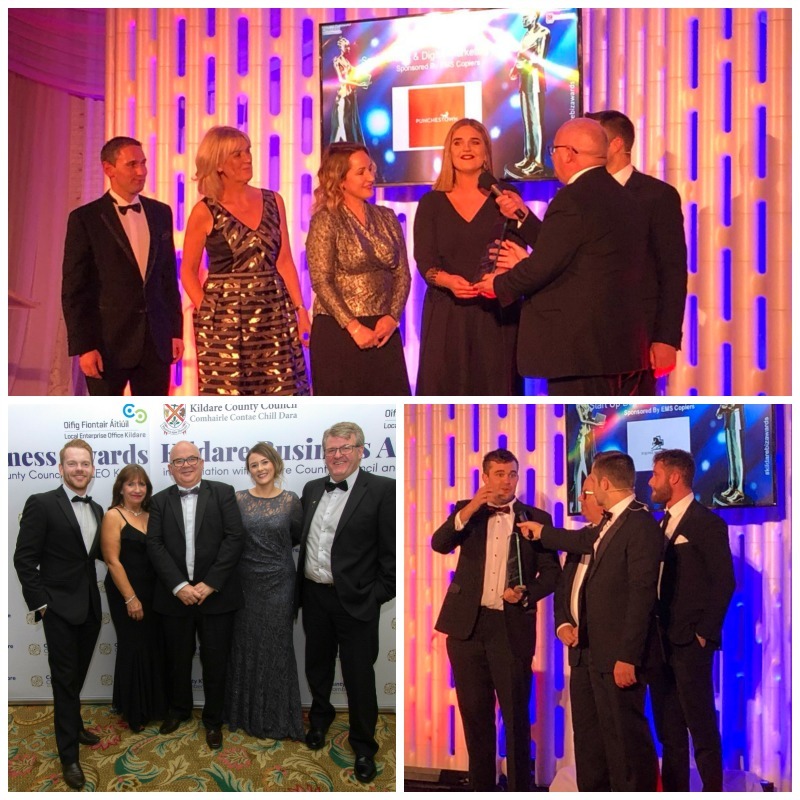 EMS was delighted to sponsor and present awards to Punchestown Racecourse, Winners of the Social Media and Digital Marketing Award and EquineMediaRecord winners of the Start-Up Business of the Year category. 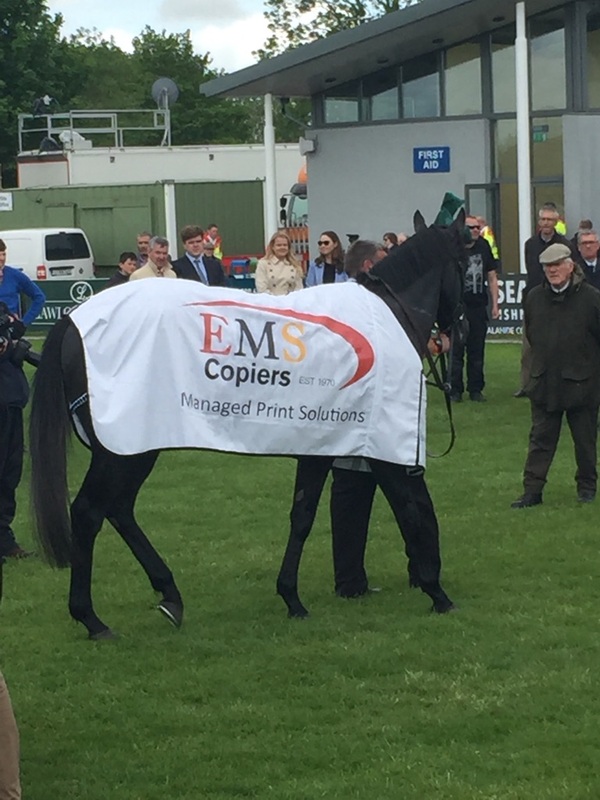 Pictured below: John O’Brien, Sales Manager, EMS Copiers presenting awards to both Punchestown Racecourse and EquineMediaRecord. 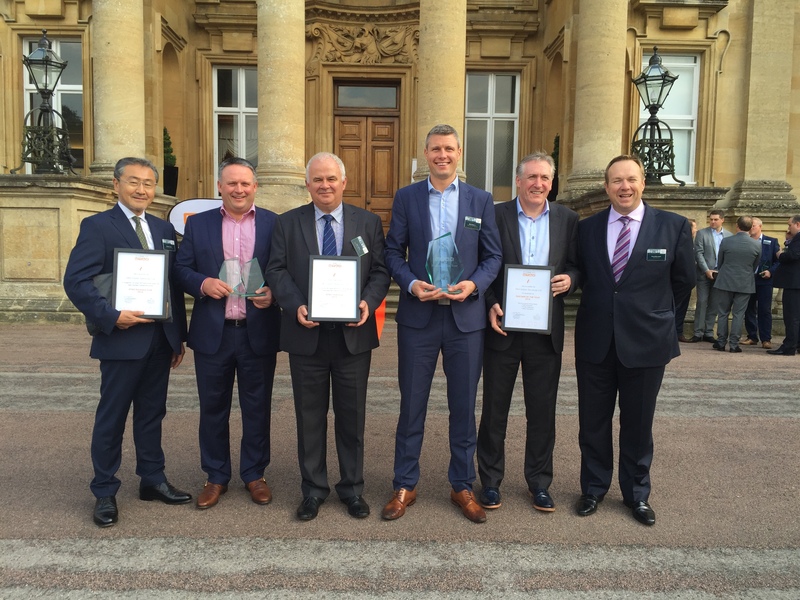 Also pictured some of the EMS team attending the awards. A most pleasant start to the week! 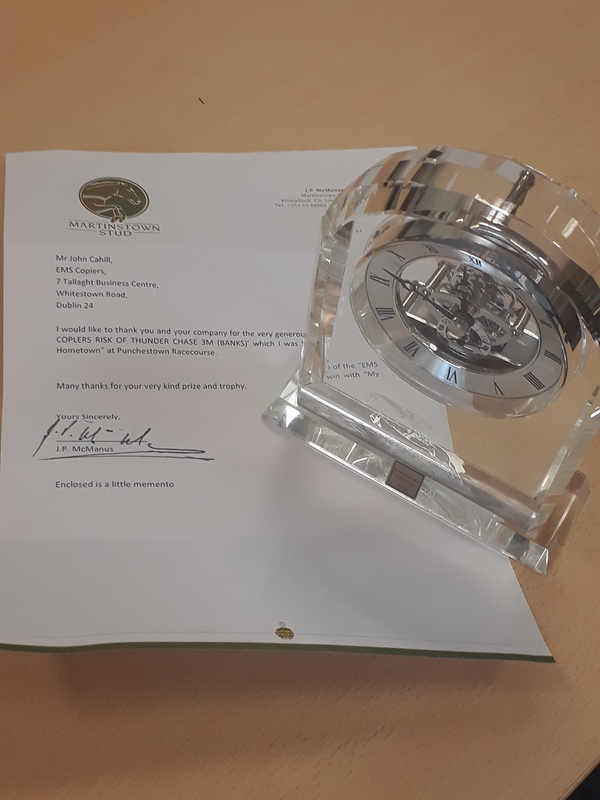 We received this lovely note and gift from J.P. McManus, Martinstown Stud thanking EMS for sponsoring The EMS Copiers Risk Of Thunder Chase at Punchestown Racecourse recently. The date for General Data Protection Regulation (GDPR) is fast approaching, 25th May 2018. GDPR will affect any organisation that stores personal data, this is defined as anything from a name, photo, bank details, email address. To assist organisations prepare and address upcoming GDPR compliance requirements, organisations may need to employ one or more different encryption methods within both on-premise and cloud environments. 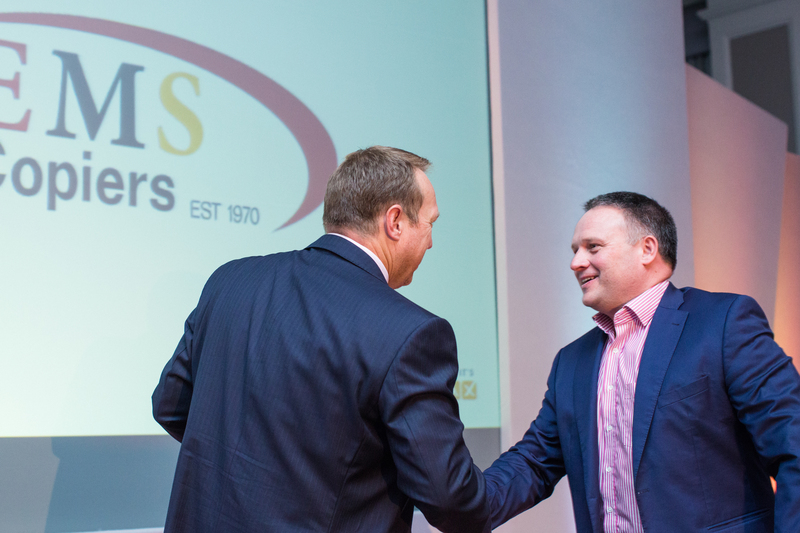 EMS is offering document management and data security solutions to minimise potential regulation breaches in the areas of printer security and data management. 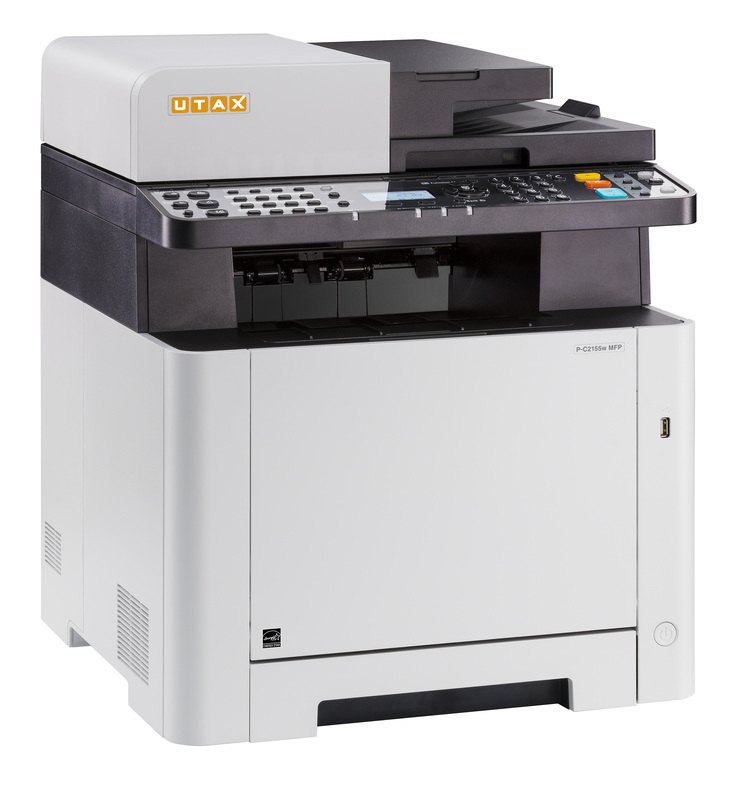 Office printers and MFPs used in today’s organisations have progressed from the basic devices previously used. Most are now networked assets, similar to a PC, contain a screen, a keyboard, and a hard drive, which can store sensitive information. Networked printers and MFP’s are often not considered when it comes to security measures. However, these devices store and process data, and as intelligent devices have the same security vulnerabilities as any other networked device. 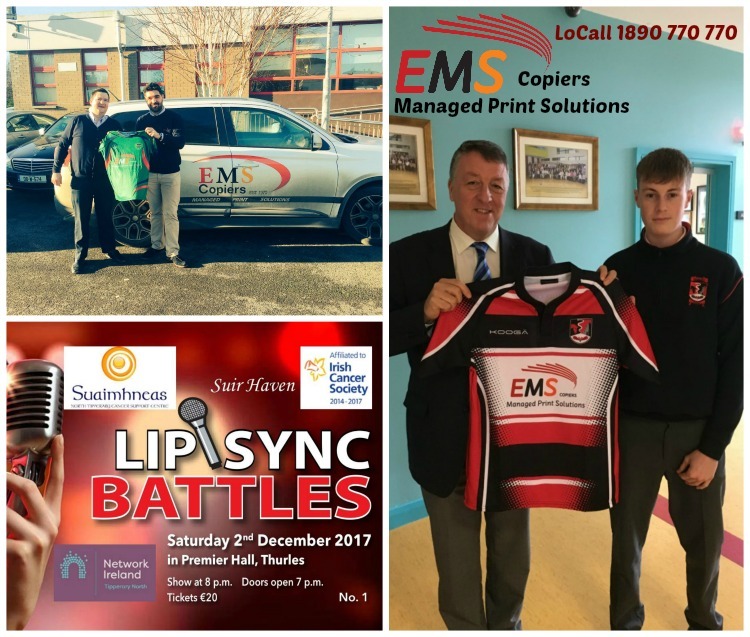 With increased cybercriminal activity, networked office printers and MFP’s are now a focus in the battle against corporate information theft and malicious attack. Printers, if not properly safeguarded have certain vulnerabilities that if exploited, can allow attackers to breach a business’ network. How can I protect my sensitive data and become more compliant? For the majority of organisations, implementing a document management solution is likely to be one of the most straightforward and cost effective ways to protect your documents. GDPR requirements are not overly complex, the main points to remember are that any personal data stored will need to be accurate, quickly and easily accessed and kept up to date. An automated approach to storing documents will move towards replacing outdated filing systems and alleviate incidents of “missing” sensitive documents. By integrating a document management system for scanning documents, you can transfer paper-based documents and to an electronic file quickly, easily and securely. EMS in partnership with Filestream offer OfficioDM Pro, document management software that encrypts documents making your data more compliant. The software can run on the client server or can be hosted in the Cloud. The software is roles based, meaning that you can give access to the people who only need to see it. Out and about with EMS! Pictured at Mondello Park recently some of the EMS team doing their best to keep on the tracks! 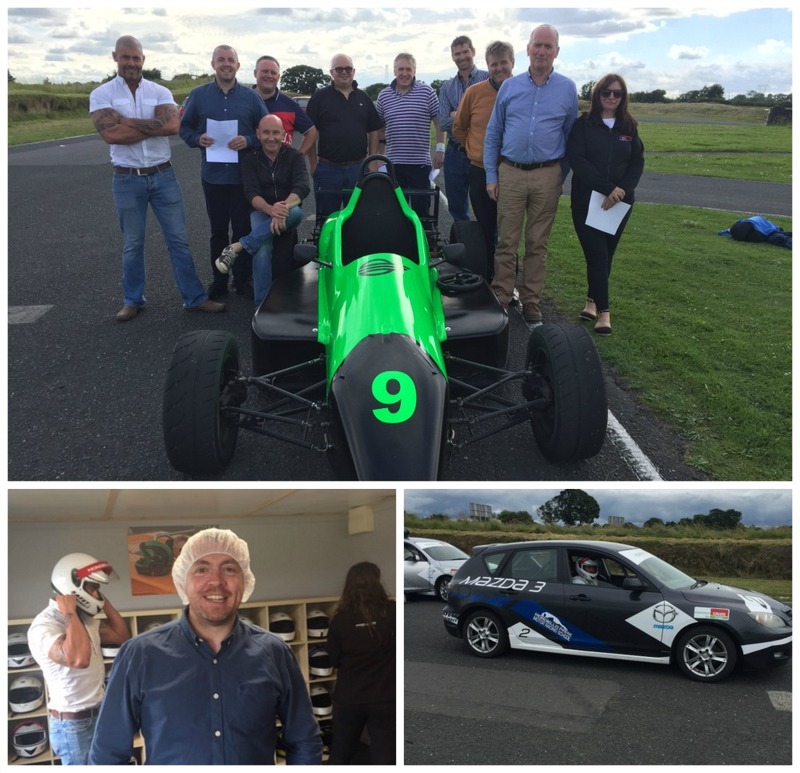 A really fantastic team day out and a big thanks to the guys at Mondello for looking after us all so well! 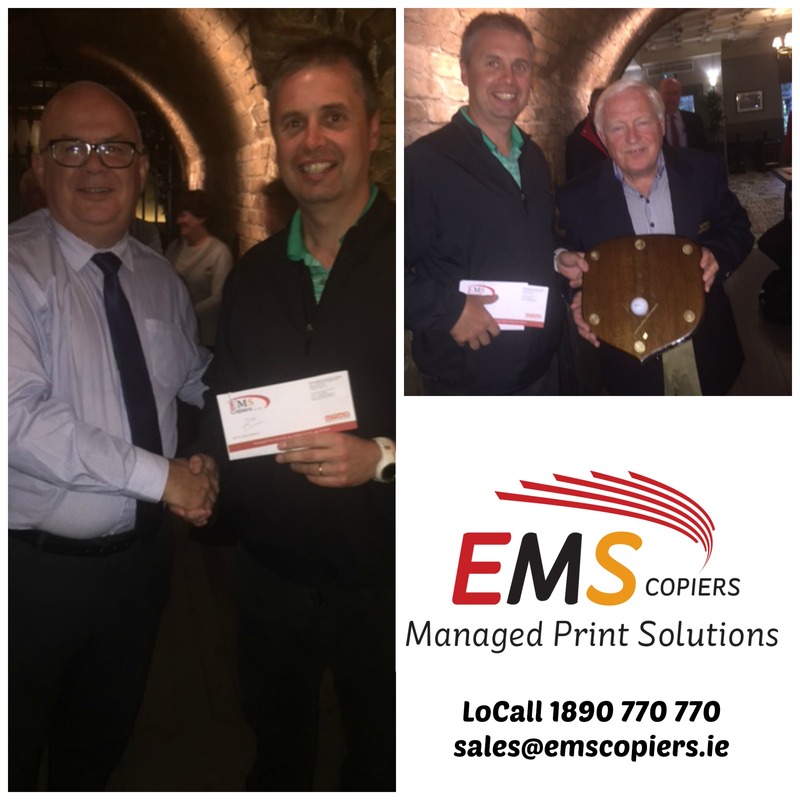 Pictured on the left Chris Barton, Senior Technical Supervisor receiving his award for Service Employee of the Quarter from Ken O’Regan, Service Manager. 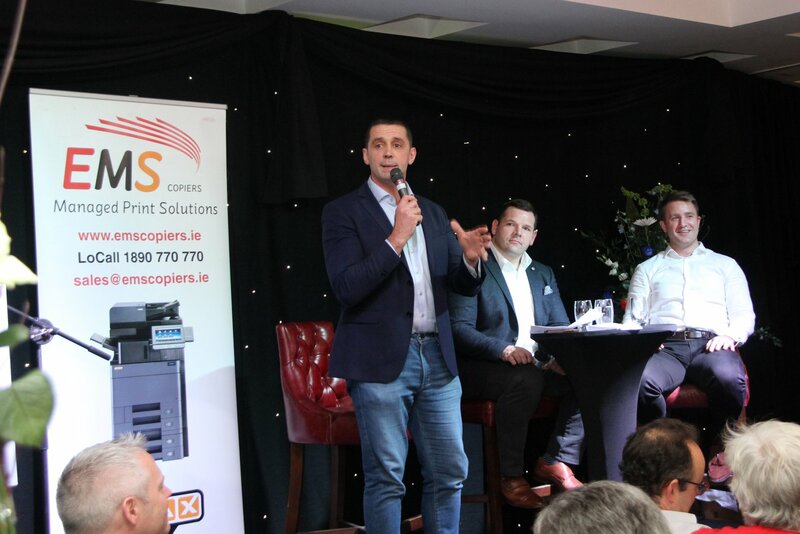 Pictured centre – John Cahill at the launch of the new Kill GAA sports bag sponsored by EMS Document Solutions. 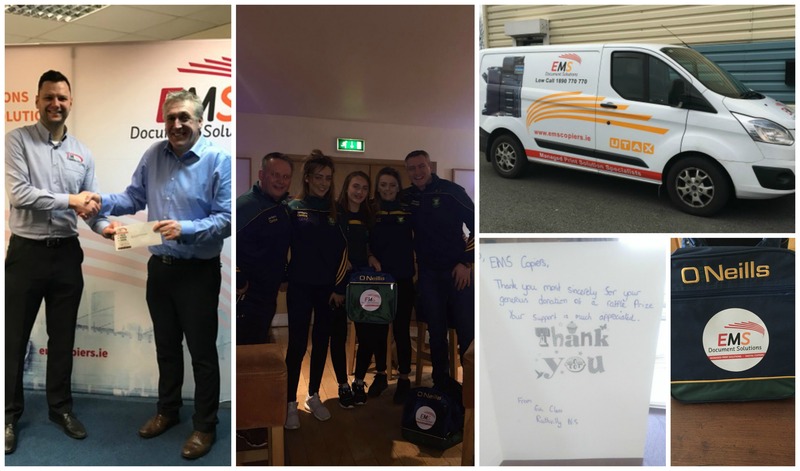 EMS were delighted to donate a raffle prize to Rathvilly National School recently. We received a lovely Thank You card from Sixth Class who who raised €2, 366 for two great charities, Crumlin Childrens Hospital and Cara Girls Rescue Centre in Kenya. 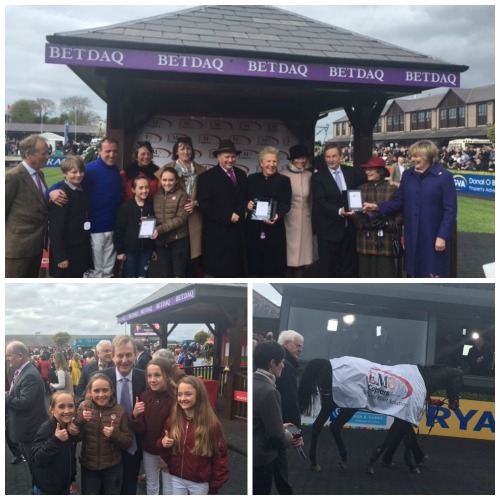 Big well done to all involved from EMS! Our new look vans are on the road and look absolutely great!